OMG OMG! 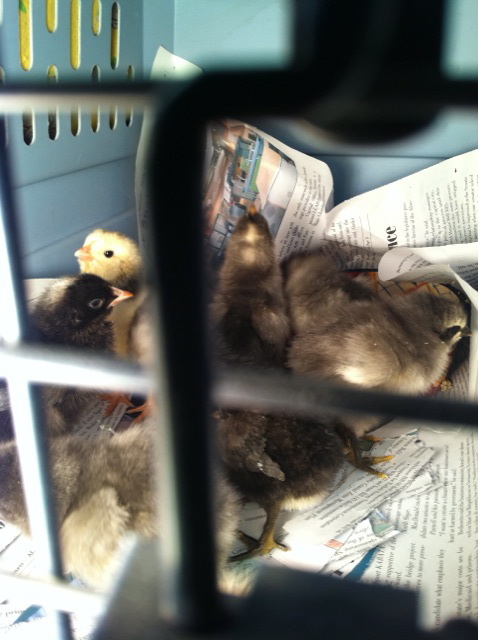 I LOVE the baby chicks! I’m so excited for you. We also planted kale and Swiss chard for our ladies–it lasts over the winter here so they could have greens all year long, but I don’t suppose that would go over well in Alaska… We also had to off one, but she was super sick, so no dinner for us. Enjoy! Bummer about the bike. What’s a “summer” bike? 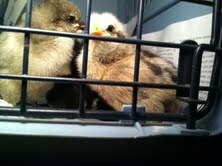 My chicks are better than your chicks. (Just trying to start something). It’s only been a week and I’m ready for them to go outside. They won’t be ready for another 3 or 4 weeks. Sigh. Congrats on being a chick Mom!!! Does O love them? Yucko on the bike. Keep your water dish small/shallow so they don’t drown themselves while they’ll little.